HIMSS 2017 was the 22rd Healthcare Information and Management Systems Society Conference that I’ve attended. From a size of less than 2,000 attendees in 1991 to over 43,000 attendees this year, witnessing the growth of healthcare IT first hand has been astonishing. There was so much to see and too far to walk. Most of my time was spent on the exhibition floor. 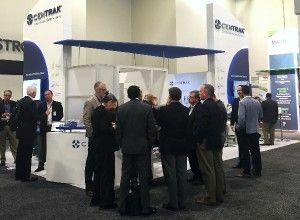 The booths of RTLS industry leaders were busier than ever with people who had some knowledge of the technology and were looking for a solution to an existing problem. I was somewhat surprised, however, by the number of international organizations that passed through the booth interested in learning more about how they may be able to leverage RTLS. Overall, I only had to explain what RTLS is to a handful of individuals which is testament to how much this industry has grown. More and more, healthcare facilities are looking at real-time location data as an essential utility to their clinical operations. After discovering which vendor served the best coffee in the morning, and where you get all the candy you can carry, Wednesday was the usual Business Development interactions between vendors. I was fortunate to have received a very exciting demonstration of Patient Engagement and Clinical Workflow solutions that utilize location data. It’s not just the concept being demonstrated that is exciting, but the huge patient satisfaction improvements and operational enhancements that have already been proven in early deployments. The 2017 event was a huge success, so, back we go again next year! If I am fortunate enough, it will be my 23rd HIMSS conference attendance where I hope to meet more new talent in healthcare information technology and establish stronger business relationships from this conference.